Bangladeshi fans have started playing ugly once again ahead of the second semifinal of the Champions Trophy in which Bangladesh will play against India. Before the semi-final, Bangladeshi fans have insulted the Indian flag in a social media post. A picture is being shared on social media by Bangladeshi fans in which 'a dog draped in Indian flag is being chased by a tiger wearing Bangladesh colours'. Bangladeshi fans often call themselves Bengal Tiger, the irony of this situation is that Bengal tiger is national animal of India. Well, this is not the first time that Bangladeshi fans have gotten overboard. 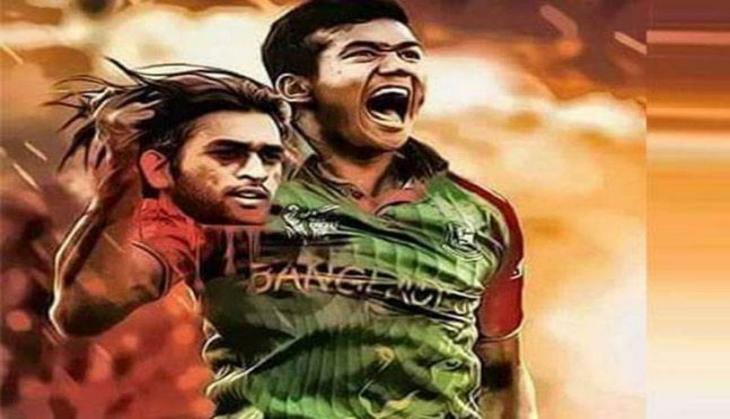 Even last year, when Bangladesh reached the final of Asia Cup, A photoshopped image went viral on social media in which Bangladeshi pacer Taskin Ahmed was holding severed head of Indian skipper MS Dhoni. 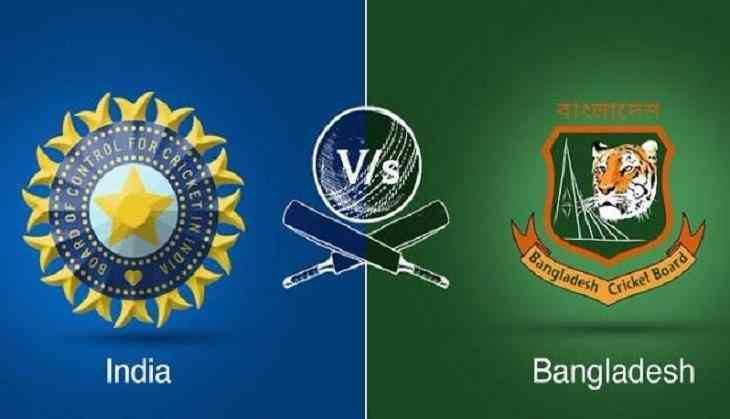 However, later Dhoni sealed Bangladesh's fate with a six during the final which India won in a canter. 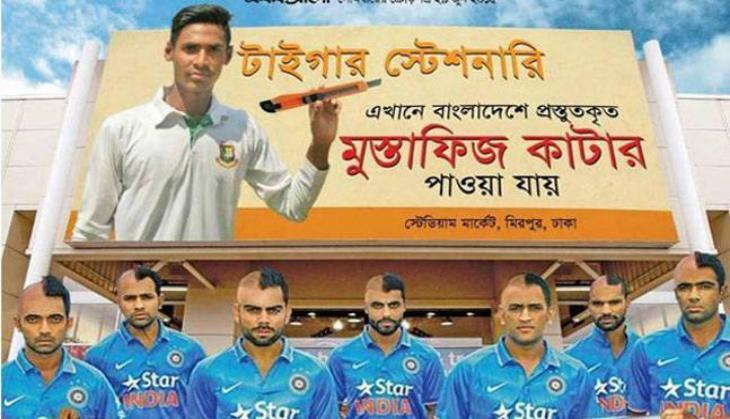 Not only fans, but even a Bangladeshi newspaper has also insulted Indian cricketer and their fans by sharing a photo of Indian batsmen with their heads shaved and Mustafizur Rahman holding a barber's knife.